Toyota’s Lexus division will use the Canadian International Auto Show on February 15 to introduce Canadians to its 2007 Lexus ES 350. This fifth generation of the ES entry luxury model was unveiled at the Chicago Auto Show on February 8, 2006. The ES 350 will give drivers a more complete range in the Lexus lineup of luxury vehicles. 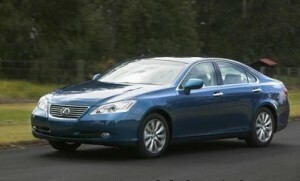 Its introduction follows the availability of the Lexus IS 250 and IS 350 models, which went on sale in October. The ES 350 complements its cousins, giving consumers two models to choose from in an entry-level luxury vehicle. Lexus points out that the design emphasis for the ES 350 is a balance between luxury and performance, as opposed to the IS 250 and IS 350 models, which focused more on the performance aspect of the car. “That balance is expressed through a number of Lexus vehicle ‘firsts’, including available dual swivel Adaptive Front Lighting System headlamps and available all-glass roof,” said Payne. Under the ES 350 hood is a 3.5-litre, six-cylinder dual overhead cam, 24-valve engine featuring dual Variable Valve Timing-intelligent (VVT-i). It will produce 272 horsepower at 6,200 rpm and 254 lb-ft of torque at 4,700 rpm. An electronic throttle control system and six-speed automatic electronically controlled transmission with overdrive and sequential multi-mode shifter deliver smooth, quiet acceleration for the front-wheel drive ES 350. It rides on 17″ aluminum alloy wheels. Additional features include Vehicle Stability Control (VSC), Traction Control (TRAC), and an Antilock Braking System (ABS) featuring Electronic Brake Force Distribution. Lexus says the ES 350 with its L-finesse luxury, will exhibit long proportions emphasized by a set-back cabin, strong frame, and all-glass roofon the top trim level. 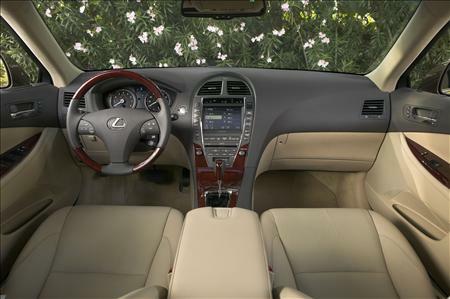 The modern interior is elegant and comfortable, with sleek instrumentation and an available 14-speaker Mark Levinson audio system. “The ES 350 is the perfect luxury vehicle for young, style-conscious Canadians,” Payne said. The 2007 Lexus ES 350 will remain on display during the Canadian International Auto Show in Toronto between February 17th to the 26th at the Metro Toronto Convention Centre and Rogers Centre, then will go on sale in Canada in April. Pricing details will be released closer to the on-sale date.